Danao Bohol is an interior town, ninety two kilometers from the capital of the province which is Tagbilaran City. Considered to be a 5th class municipality, it has a population of 17,716 people according to the 2007 census. The area of the town covers 9,786 hectares which is politically subdivided into 17 barangays, to wit: Cabatuan, Cantubod, Carbon, Concepcion, Dagohoy, Hibale, Magtangtang, Nahud, Poblacion, Remedios, San Carlos, San Miguel, Santa Fe, Santo Niño, Tabok, Taming and Villa Anunciado. The town is endowed with several natural attractions which the local inhabitants seek to enhance and promote as a tourist haven. It has the grandeur of the mountain ranges; the Wahig River winds its way on its rugged terrain; there are plenty of caves the most famous of which is the Francisco Dagohoy Cave; and more besides. The people of the Danao Bohol, led by the local government unit, are now committed to preserving these gifts of nature. The caves and surrounding areas are well protected; ladders are not allowed in order to traverse the inside of the caves; people have to enter it by the use of rope. The local government unit of Danao has envisioned their place as a tourist destination. An Adventure Park has been developed at barangay Magtangtang where various “extreme” activities are being offered for the high-spirited such as: “zipline”, Tyrolean traverse, rappelling, bouldering, caving or spelunking, kayaking. Milder activities for the fainthearted are: trekking, mountain biking, swimming, fishing and more. 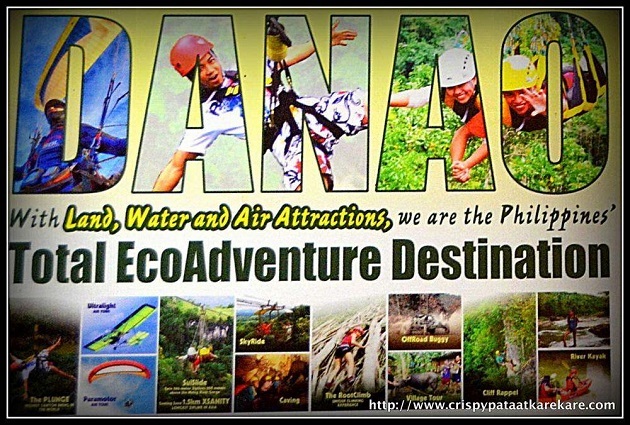 Danao calls these the Eco-Educational-Extreme Adventure Tour (E.A.T Danao) which are now creating ripples throughout the country and gaining its share of the tourist pie. 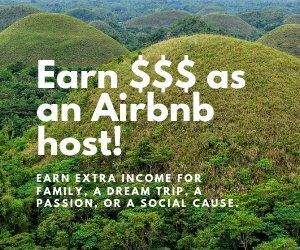 These are far beyond the usual tour options of the Chocolate Hills, the Loboc River Cruise, the dolphin/whale watching and the white beach hopping, yet guaranteed to give you the best satisfaction and fondest memories ever. The town has put up a Tourist Accommodation Center for those who plan to stay overnight. The people of Danao Bohol are into conservation. It has been declared as the country’s first-ever ANR (Assisted Natural Regeneration) municipality. This is a cheaper alternative to conventional reforestation wherein the ANR-local volunteers help speed up the growth of young tree seedlings and other plants that lie dormant under the grass. The town’s soil is very rich and fertile, thanks to the Wahig River deposits. The people largely depend upon agricultural farming as their means of livelihood with rice, corn and copra as their main crops. They are also into the production of organically grown vegetables and fruits which magically find their way into your table when you order food at the Center. Yes, Danao Bohol is growing economically and fast! With concerted efforts of all local inhabitants, the festering wound of poverty will be left far behind and a promising affluent society takes over with the tourism boom!